At the start of the new term, it is important to find accessible ways to introduce topics so that your classes can quickly get stuck into their work. We’ve gathered resources for KS3, KS4 and post-16 students that offer easily digestible introductions to complex topics. Lure learners into the world of algorithms by getting them to think about a set of instructions for making a cup of tea in this starter activity, before introducing them to the world of computational thinking with this comprehensive pack. Clearly outline what a computer system is and how it works with these introductory slides, full of information for teachers to share and activities for students to complete. Or, why not show your class the limitless possibilities of using spreadsheets with this practical exercise, that encourages them to work through a series of tasks. This is a starter activity I use to introduce algorithms. Print and cut out the attached instructions for making a cup of tea. Instruct students to put the instructions in the correct order. Explain that an algorithm is basically a set of instructions for solving a problem. 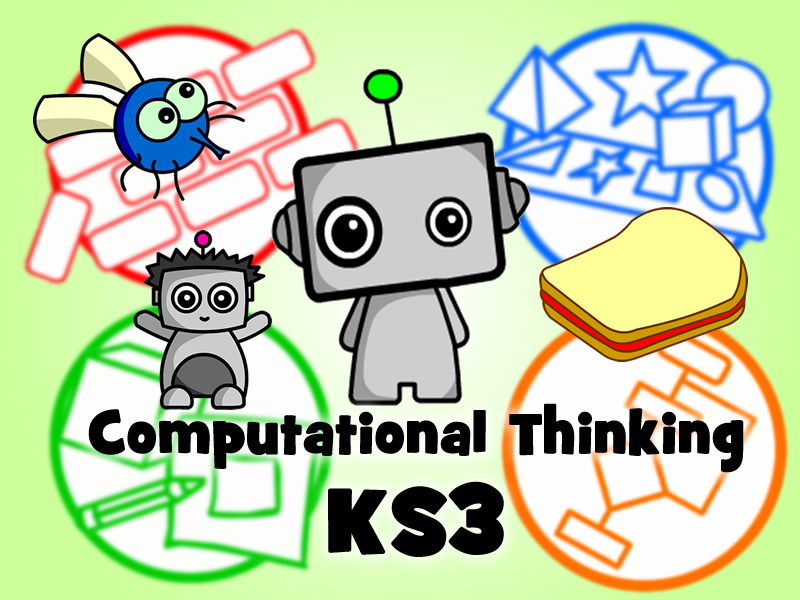 This unit of work introduces students within KS3 to the concepts of computational thinking by helping Rob-bot the robot make a jam sandwich. Through the activity, students will learn about decomposition, pattern recognition, abstraction and algorithm design (through both basic flowcharts and pseudo code). They will also lean about the importance of debugging their algorithms. The duration of this work usually takes between 2-3 hours to complete, so is perfect as an introductory unit to computational thinking and programming. This lesson - (built to last 1.50min) is an introduction to Computing. Designed for KS3 pupils. One PowerPoint is to help the teacher to share subject knowledge, the other os for the pupils to complete activites. This is a really useful worksheet, created by an Excel fan, that takes pupil through using Excel in different ways. Very well written and supports independent learning. Please leave feedback, especially if anything needs changing or improving. Designed for GCSE computing students, this well-structured presentation offers a straightforward explanation of flowcharts based on a real life example. Alternatively, your budding programmers can work at their own pace through this step-by-step booklet including screenshots of the process. Challenge older students with this spreadsheet exercise that teaches them about creating formulas, data validation and absolute cell referencing, while these handy tasks serve as an introduction to Python dictionaries. Designed for the OCR GCSE Computing course, this teaches students the four different symbols required by the exam board with a class activity based around a real life example then an independent task with extension using Python. An introduction to Visual Basic programming in the format of a booklet that students can work through at their own pace. Students are required to interpret information and design a spreadsheet to do calculations. The exercise includes use of formula (calculation and logic) as well as data validation and absolute cell referencing. 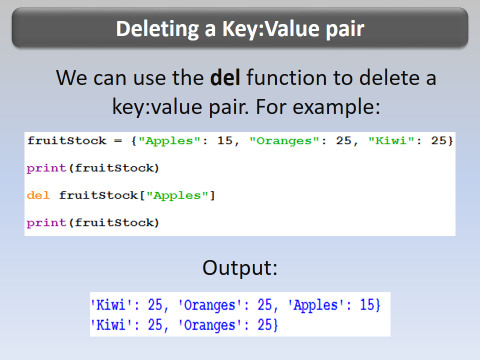 Lesson presentation - introduction to Python dictionaries. Includes tasks and solutions to tasks on the slides.